Villas and townhouses in Coconut Grove range from small duplexes in "Center Grove" to luxury waterfront gated communities located along Biscayne Bay. Many Coconut Grove townhomes offer condo-like amenities such as community pools, exercise rooms, tennis courts and clubhouses. Some waterfront townhouses in Coconut Grove also include boat docks. Most Coconut Grove townhomes are within walking distance to the Grove's many restaurants, bars, shops, parks and marinas. 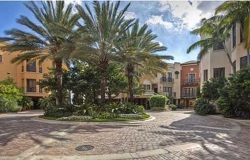 Central Location One Bedroom In Coconut Grove With Private Backyard. Thinking About Buying or Selling in Coconut Grove? Nobody knows Coconut Grove real estate better than The Jo-Ann Forster Team, your trusted Coconut Grove Realtor. We have been successfully selling real estate in South Florida for over 30 years and have a proven track record for delivering exceptional service and results for our clients. Give us a call today at 305-468-4558 or use the form below to contact us by email and let us know how we can help you.